Revenue in the Meat Products & Sausages segment amounts to US$156,403m in 2019. The market is expected to grow annually by 1.7% (CAGR 2019-2023). In global comparison, most revenue is generated in United States (US$146,015m in 2019). In relation to total population figures, per person revenues of US$206.78 are generated in 2019. The average per capita consumption stands at 26.8 kg in 2019. The Meat Products segment includes all kinds of processed meat. The segment is split between Ham and Bacon, Sausages, and other meat products such as roast or cooked ham and meat salads. This segment does not include fresh meat or pre-cooked meat-based Ready Meals. Meats are among the top four product groups in the Food market in terms of sales and revenue. However, through a growing health conciousness and the desire for meat alternatives, the consumer demand for meat has stagnated and shows a decrease in some countries. The largest meat processors in Europe are Danish Crown, Tönnies and Vion Food. Reading Support Revenue in the Meat Products & Sausages segment amounts to US$156,403m in 2019. 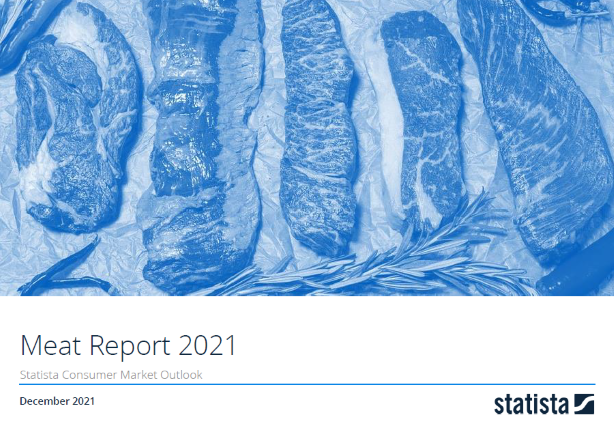 Reading Support The Meat Products & Sausages segment is expected to show a revenue growth of 2.3% in 2020. Reading Support The average revenue per person in the market for Meat Products & Sausages amounts to US$206.78 in 2019. Reading Support In the market for Meat Products & Sausages, volume is expected to amount to 20,495.8 mkg by 2023. Reading Support The market for Meat Products & Sausages is expected to show a volume growth of 0.2% in 2020. Reading Support The average volume per person in the market for Meat Products & Sausages amounts to 26.8 kg in 2019. Reading Support The average price per unit in the market for Meat Products & Sausages amounts to US$7.73 in 2019. Reading Support With a market volume of US$146,015m in 2019, most revenue is generated in United States. Here you can find more studies and statistics about "Meat Products & Sausages".